Spark Technology Education is an Oregon based 501 (c) (3) non-profit organization dedicated to youth development. We connect students to science, technology, engineering, and mathematics (STEM) programs, and bring in local professionals as mentors to provide quality instruction. 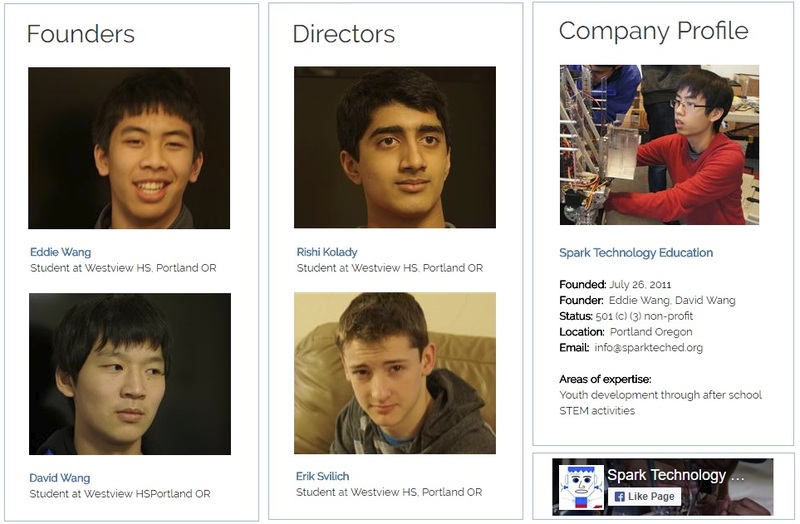 Spark Technology Education was founded by Eddie Wang and David Wang on July 26, 2011 and obtained 501 (c) (3) status on August 24, 2012. Spark Technology Education aims to provide opportunities, quality mentoring, and financial support to young minds to spark their interests in science, technology, engineering, and mathematics.